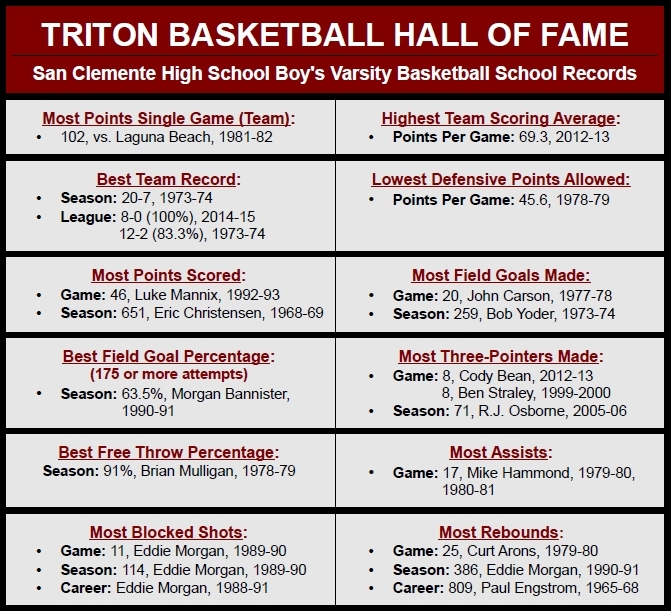 January 23, 2015 - Mirroring what the NBA did when it celebrated its 50th anniversary in 1996 by naming its 50 greatest players, Triton Basketball named the 50 best players of its first half century on Friday, January 23, at halftime of its South Coast League game against long-time rival Dana Hills. The honorees were selected by a blue ribbon committee led by Head Coach Marc Popovich with considerable input from his predecessors. To see who made Triton Basketball's 50th Anniversary Team, click here or on the logo above. Walk into the Main Gym at San Clemente High School and look up on the wall to your right. You will see a red jersey emblazoned with the number 22 and the name Garrett. The name and number belong to Dean Garrett, the only player in Triton Men's Basketball history to have his jersey retired. He was big, but not a phenom. 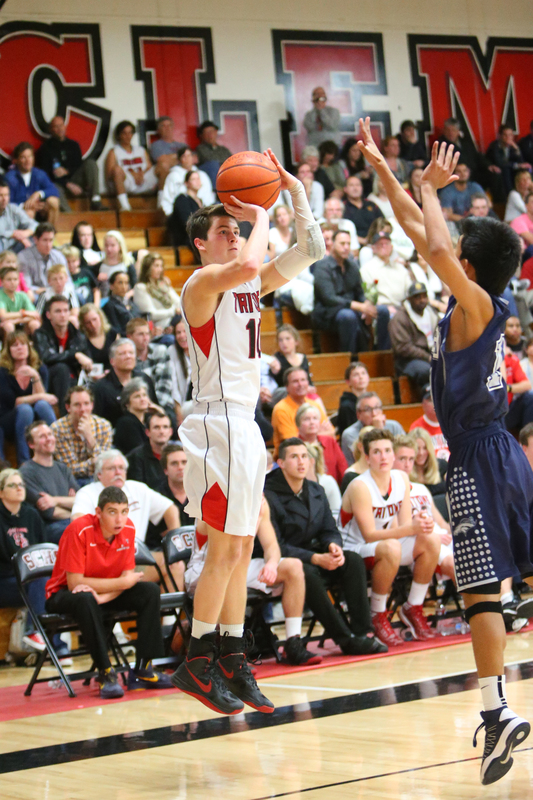 In fact, he didn't make the Triton Varsity until his junior year in high school. Nonetheless, through hard work, desire and a little Hall-of-Fame coaching, Garrett enjoyed basketball success that most players can only dream about. An historic performance by the 2012-13 edition of the Triton Varsity did not go unnoticed by the program's record book. En route to the team's first league title since 1975, three school records were set. Individually, Cody Bean, a team captain and all-league starting point guard for the 2012-13 squad, tied the school record for most three pointers in a game with eight. Ben Straley hit eight threes for the Tritons way back in the 1999-2000 season. scoring average, notching an average of 69.3 points per game. The previous mark of 69.1 was held by the 1981-82 Tritons. 7-1. That's an 87.5 winning percentage, bettering the .833 percent of the 1973-74 squad, 12-2 in an eight-team league.